A perfect accessory for your entryway or hallway, a wall coat rack from Brandenberry is a convenient spot to hang coats. Plus, it adds a touch of elegance to your home. Amish artisans build the wall coat racks from solid hardwood. So they’re eye-catching and incredibly sturdy. The Brown Maple Five Hook Coat Rack-Two Hook Key Holder has five different hooks to hold your jackets and two holders for your keys. It also features a stunning Brown Maple with Espresso finish. 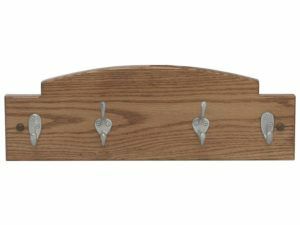 This gorgeous Brown Maple Four Hook Coat Rack-Two Hook Key Holder features two key holders and an Espresso finish that will look great in your home. The Brown Maple Three Hook Coat Rack-Two Hook Key Holder is made out of solid hardwoods. The Brown Maple Two Hook Coat Rack-Two Hook Key Holder is a coat rack with two hooks and two key holders featuring Brown Maple with Espresso finish. 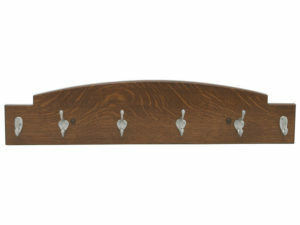 A beautiful five hook coat rack with two key holders. Able to accommodate four coat hooks and two sets of keys. Two hook coat rack with two key holders in Oak wood. An elegant coat rack featuring Brown Maple with Espresso finish. 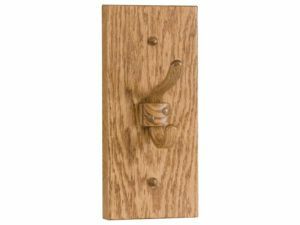 Quarter Sawn White Oak four hook coat rack with two hooks for sets of keys. 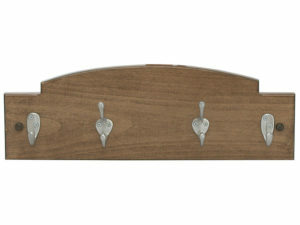 An elegant solid hardwood coat rack with three hooks and two holders for keys. 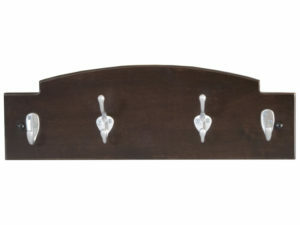 Solid hardwood coat rack with three hooks and two key holders. A coat rack with two hooks and two key holders. 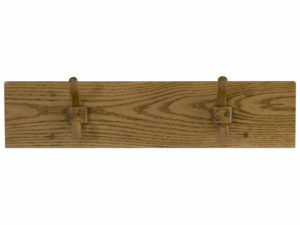 A coat rack with five wooden hooks. 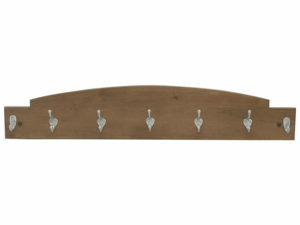 Solid hardwood four hook wooden coat rack. A solid hardwood one hook coat rack. 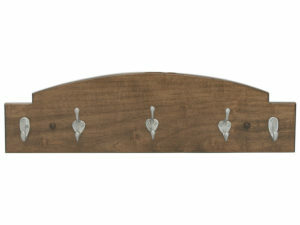 A three hook wooden coat rack. Wooden coat rack with two hooks. 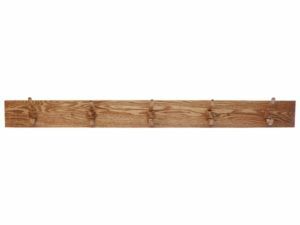 Using meticulous attention to detail, expert Amish artisans handcraft each wall mounted coat rack from Brandenberry Amish Furniture. That’s why you can depend on them to look great and work hard for years to come. 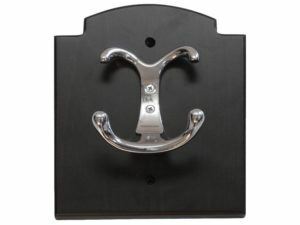 You can order a wall mounted coat rack as shown. Or we can customize it to fit your desires. If you would like help deciding on a wall hanging coat rack, or how to customize it, feel free to talk with a member of our expert staff. We’d be delighted to assist you.